This machine has been upgraded to the full 400 build chamber capacity, plus opened to run all materials. 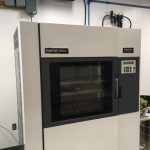 Excellent addition to any fleet, and a great machine to begin doing in-house rapid prototyping. 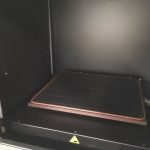 Pivot AM Service also offers a less expensive material offering to make make this entire purchase the most economical 3D printer you can buy for the money.